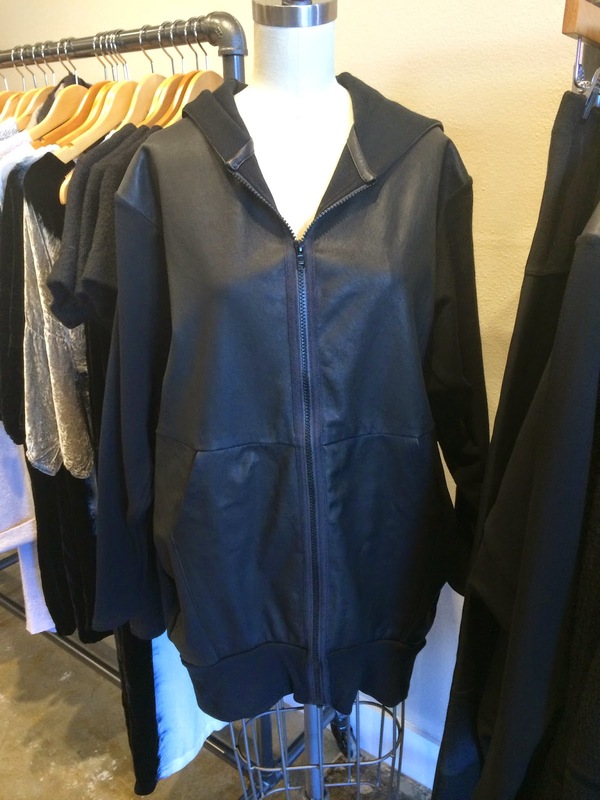 As a destination for some of the coolest designer fashions in Dallas, Piermarini Boutique in Snider Plaza was the prime place for a trunk show and meet-and-greet with designer Mila Hermanovski. You know her from Project Runway season 7 and All-Stars. 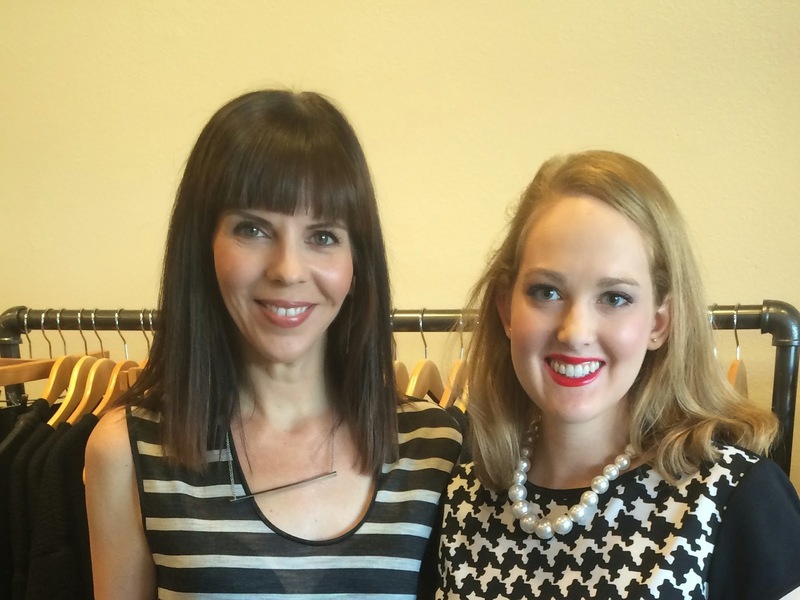 I got to sit down to chat with one of my favorites from Project Runway and try on some of the coolest pieces from her collection! The judges noticed Mila's talent early on in the Project Runway competition, her first win being the 3rd challenge. Mila's favorite moment on the show was when Michael Kors said, "That look turned the corner and I knew it was a Mila." She won 2 challenges and made it to the finale to show her collection at New York Fashion Week. Mila's unconventional hardware outfit from episode 7 was my favorite Mila outfit on Project Runway. Still a fan of the classic black and white, Mila drew inspiration for the fall 2014 collection from an excavation site near where she lives in the LA Arts District. The layering of destruction and redevelopment was the framework for her vision. The texture, color and geometric details that pop up in the collection represented her inspiration perfectly. It takes serious talent to turn destruction into something beautiful, which is what Mila did. Plus, her clothes are totally wearable and versatile. It was always Mila's dream to have her own line. She started out working for Calvin Klein and doing whatever she had to do to make it in the industry. She designed TV and film costumes for 10 years before being selected for season 7 of Project Runway. Mila has been sharing her perspective on season 13 through a blog on Lifetime's website. It's really witty and insightful, you should check it out! Even though she has a super-sleek signature look, Mila was one of the nicest designers I've met. Fame definitely hasn't gone to her head, which is something I admire. 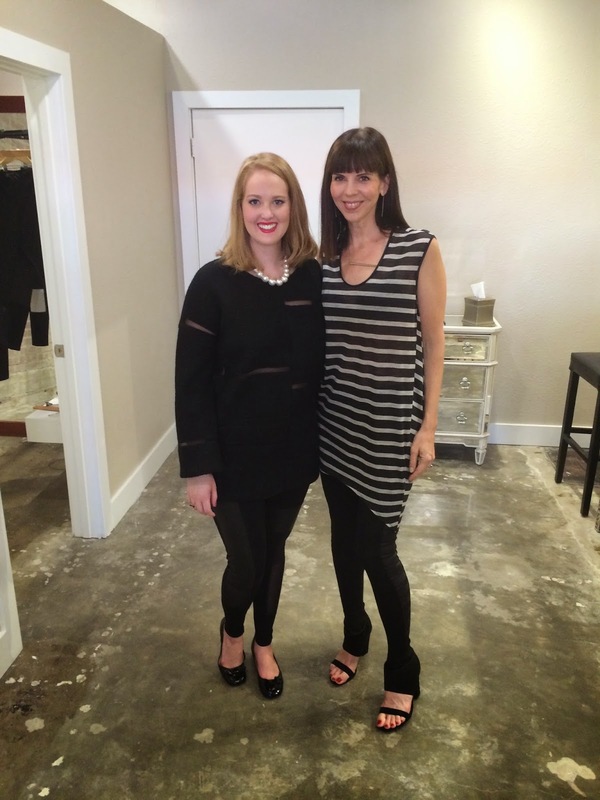 Mila's Dallas fans got to chat with her at Piermarini for a couple of hours. She sat with me one-on-one to let me interview her. Her mom was even there to chat with Mila's fans, and she was just as lovely as Mila was. For the past several years Mila's been launching her fashion line, but it's not just about making clothes. She says to be successful, she has to know the business side and make clothes that are strong on their own, not just because she was on Project Runway. If you're interested in working in the fashion industry, she suggests working for a fashion designer or doing an apprenticeship. Mila sums up her style as "modern and individualist." Mila's style icons include actress Kate Blanchett and former Elle style director Kate Lanphear. "There's nothing like Texas," is what Mila said when I asked her about Dallas style. The sincere friendliness and vibrant smiles are some of her favorite things about Dallas. 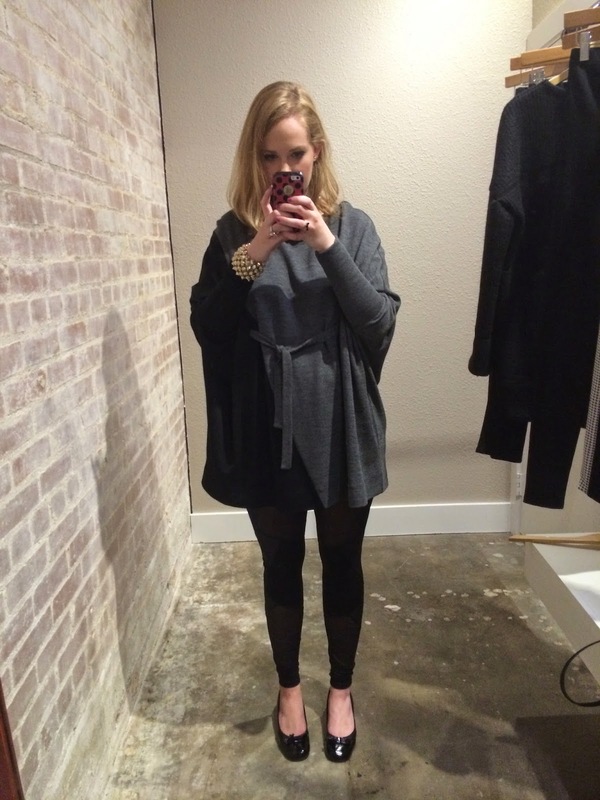 According to Mila, Dallas women know how to be more feminine and have fun with varied styles. "That look turned the corner and I knew it was a Mila." 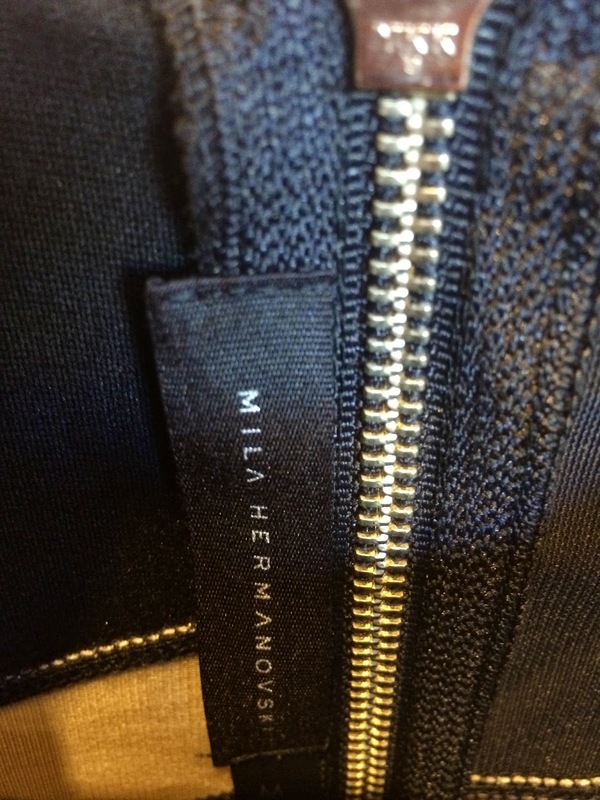 Piermarini Boutique in Snider Plaza is currently the exclusive Dallas store selling Mila Hermanovski. John Piermarini, 23, opened his boutique after graduating from high school at Greenhill and is currently located in Snider Plaza. Mila connected with John through Greenhill's alumni network. 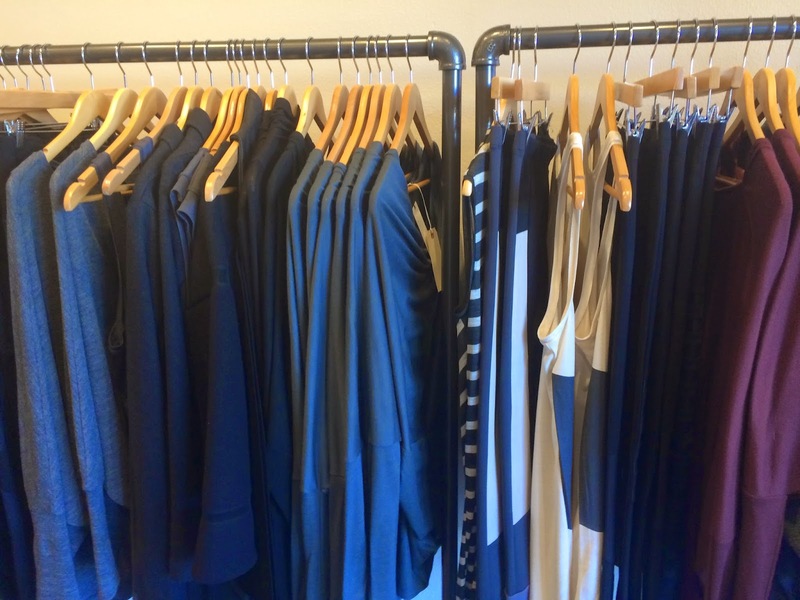 Mila's style definitely matches John's selection of chic, easy-to-wear clothing and accessories at Piermarini. I have to give a special shout out to John's mom Tina Piermarini who was decked out in Mila. She even helped me pick out a pair of Mila leggings, which I'm so excited about finally wearing now that it's getting chilly in Dallas. And thank you Alison Volk for inviting me to this incredible event! Not in Dallas? No problem! Piermarini Boutique recently announced the opening of its new online boutique where you can find Mila's killer leggings & more.